If you’re planning your Thanksgiving menu, consider these delicious items to give your meal that extra mmmmmm. Our zoo catering staff always make amazing dishes, and they offered to share a few with you! 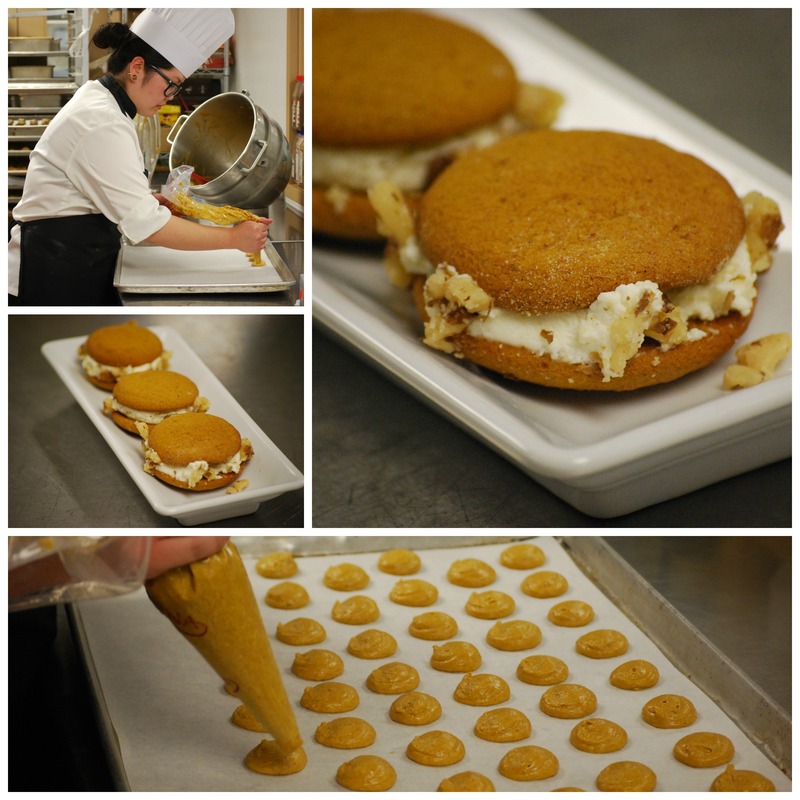 From dinner to dessert, let our Cider Spiked Butternut Squash Soup and our Pumpkin Whoopie Pies add a little something extra to your holiday. Sautee the first six ingredients at medium temperature in 10 qt. sauce pot until the onions turn translucent and carrots and squash soften. Add chopped rosemary and apple cider. Reduce cider by 50 per cent. Add vegetable stock. Let simmer 25 minutes until vegetables are softened. Puree with immersion blender. Season. Bring to simmer, Continue to simmer for 60 minutes. Preheat oven to 350 degrees F. Cream butter, oil, sugar, vanilla and molasses. Add zest and eggs. Cream and scrape on medium speed. Add pumpkin puree, scrape. Sift/ mix all dry ingredients. Add to butter and mix until combined. Pipe onto parchment lined trays and into 1.5 inch diameter circles. Bake for 18-24 minutes. Cream cheese, butter and sugar together until light and fluffy. Add vanilla and marshmellow fluff, mix until incorporated. Pipe filling between two whoopee cakes and sandwich them together. FInish by rolling sides in chopped pecans.